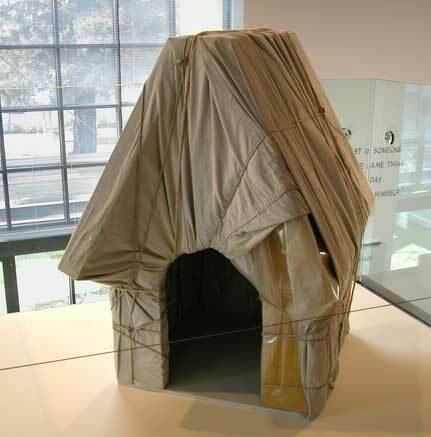 So the Schulzes were great friends with the Christo-Jeanne Claudes. And in 1978 Charles Schulz drew a hilariously unfunny comic strip which ended in Christo's next project--back then, they were only Christo's projects--was Wrapped Snoopy's House. Which finally got turned into a maquette and a fundraising print for the Schulz Museum in 2003-4. Even their prints take decades to realize?